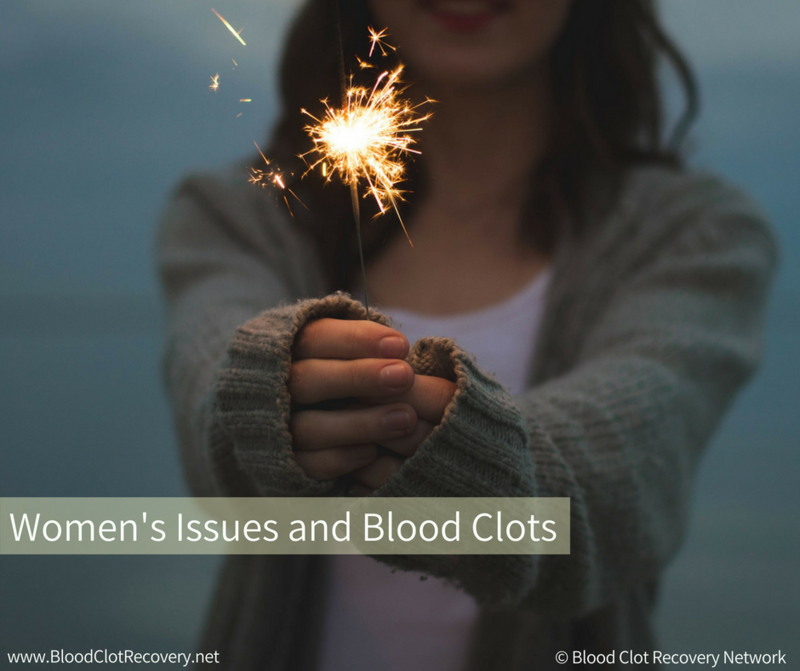 If you are a woman, one of the first questions you might have after starting blood thinners may be, “Should my menstrual cycle be this heavy while taking anticoagulants?” It was one of the first things I worried about after I was discharged from the hospital on low molecular weight heparin blood thinning injections several years ago. I worried – a lot – and wondered if it would be a major issue for me, especially since I had already struggled with uncomfortable periods for as long as I could remember. My periods were a little heavier, but nothing that made me worry, or think something was wrong. I had more frequent and slightly heavier periods for several months, but eventually my cycle returned to what was normal for me. 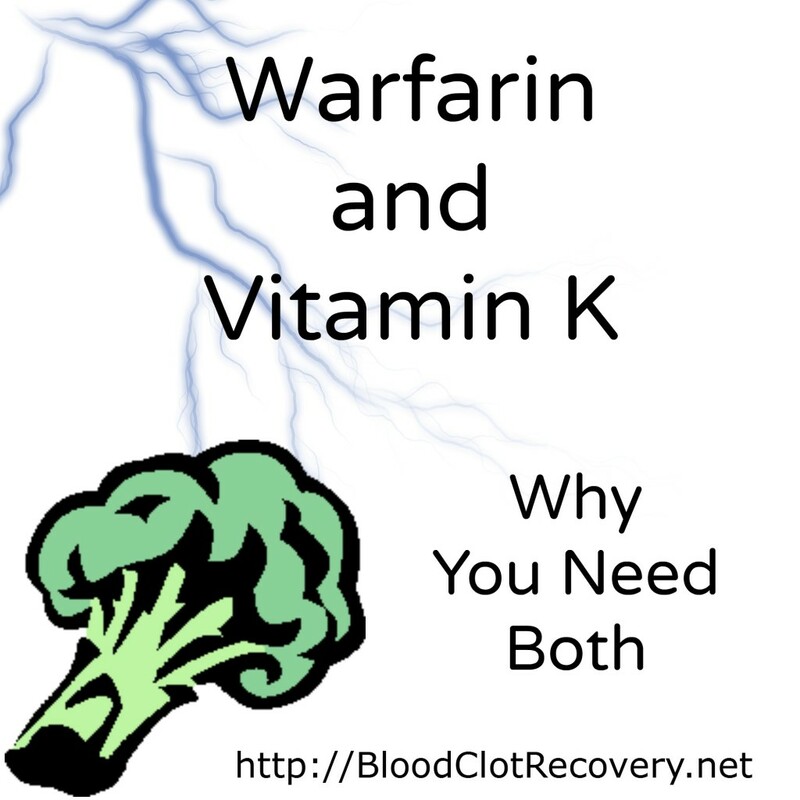 Once I transitioned successfully to the oral anticoagulant warfarin, my periods stayed the same. A little unpredictable, but mostly manageable. They were occasionally longer or heavier, or I would occasionally have two shorter cycles in a month, but nothing was overly concerning for me or my doctors. It got worse as the weekend went on, so I called my gynecologist’s office. Most gynecologists have an on-call physician for pregnant patients who go into labor and delivery, so I was relieved to hear a messaging service answer where I could leave my number and have an on-call physician call me back. A doctor at from my gynecologist’s office called me back in about 10 minutes and asked me what was going on, so I explained my situation. The doctor was alarmed, even though I was very clear that I was taking the blood thinner warfarin. 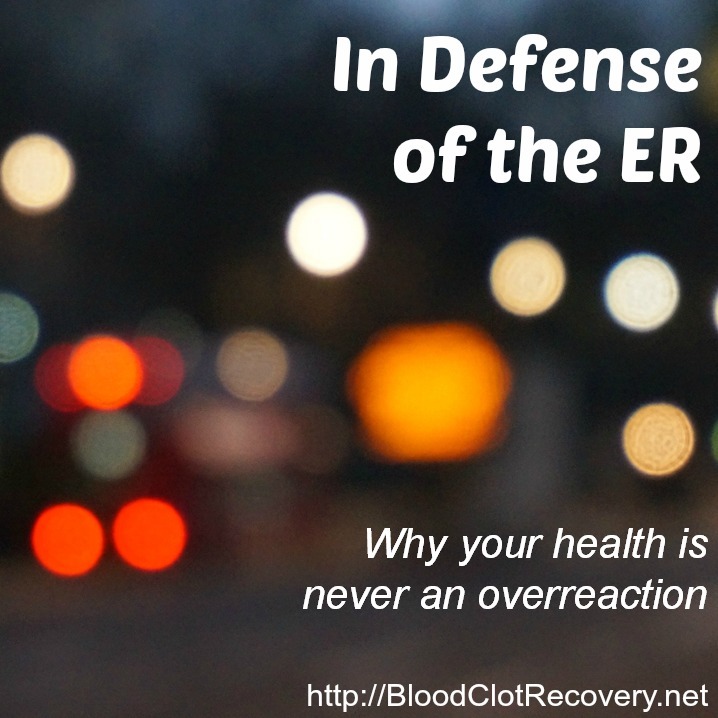 He instructed me to go immediately to the emergency room, which I did, now completely panicked about my situation. At the hospital, I saw a number of doctors who ran and performed numerous tests to determine whether I was bleeding internally from my abdomen or from my uterus. After several hours, and a lot of uncomfortable evaluations, it was determined that I had uncontrolled uterine bleeding. In my case, it was a period that wasn’t stopping. The cause was an INR level that was way too high, which I did not know about. I needed a reversal treatment (oral vitamin K in this situation), to help bring my INR back into a safe range. 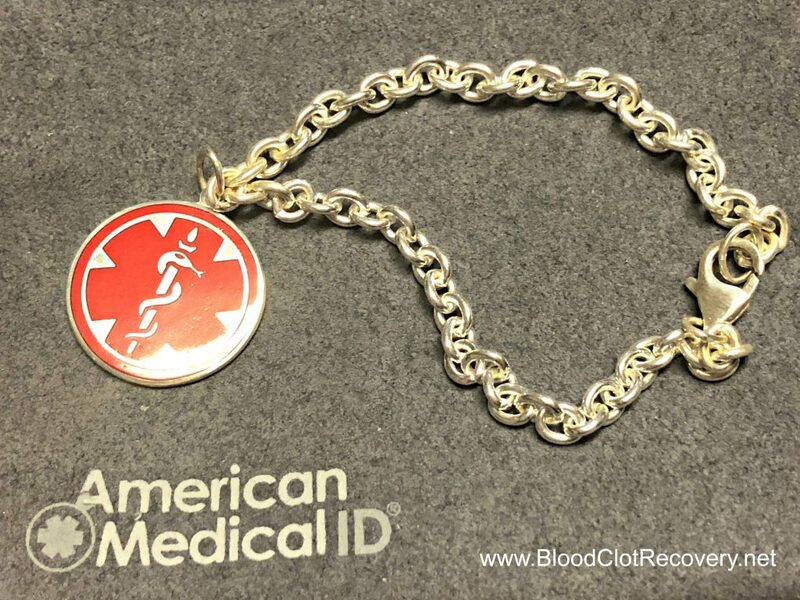 I am very fortunate that I did not need a blood transfusion or need to be admitted. The ER staff told me repeatedly that it was very good I came in when I did, instead of waiting until Monday, because the bleeding may not have stopped on its own. It took several weeks of medication adjustments, blood draws, and ultimately bridging with injections to stabilize my INR. While it was a very scary experience for me – and one that has also taken me some time to think about sharing here – it is an experience that I take very seriously. I learned a lot about my body and what not to assume. If I ever have bleeding like that again, I will not assume it is my period, because I know now that something could be seriously wrong. If you have heavy periods on blood thinners, at least have one conversation with your doctor, before ending up in a situation that requires emergency room visits and emergency interventions to resolve. Below is a list of frequently asked questions about menstrual cycles and blood thinners. These are questions that I have asked myself, and that I hear a lot. What is the bottom line? 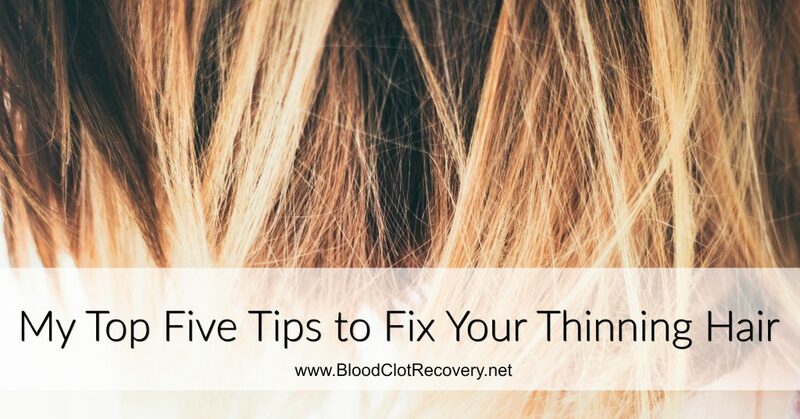 If you have a heavy period on blood thinners, please talk to your doctor. Q: Since I am on blood thinners, I can expect a heavier period, right? 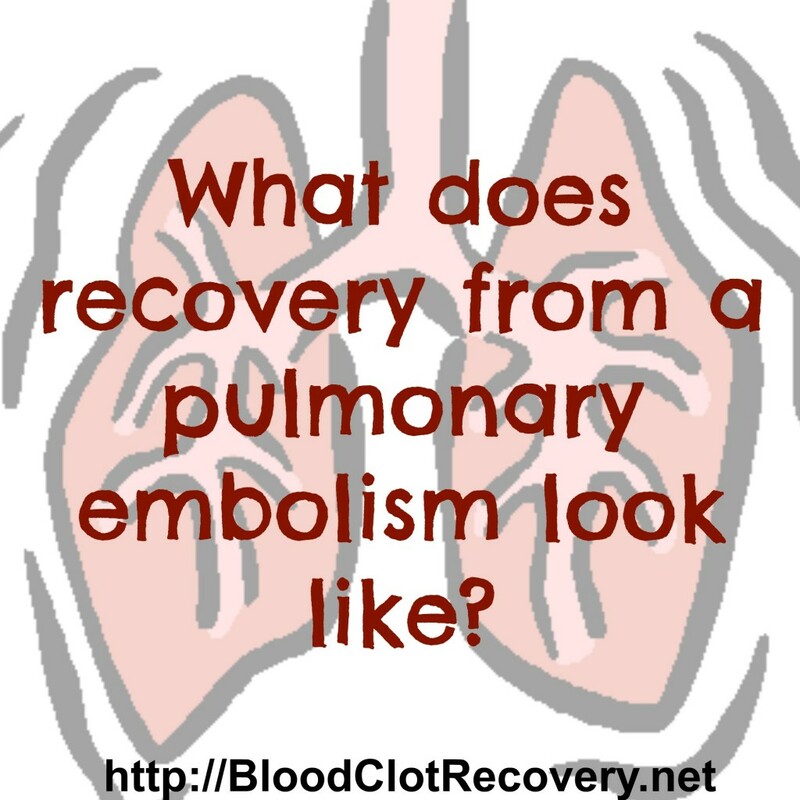 A: Like so many things when dealing with blood clots and blood clot recovery, it depends on the individual situation. Not every woman has a heavy cycle on blood thinners, so if you do, you need to discuss it with your doctor to find out if it is normal or not. A possible side effect of the newer oral anticoagulants are heavier periods, so if you take those medications, talk to your doctor about your concerns and what to expect. It is important to make sure nothing else is wrong, or going on, as well as to find a solution for managing heavy periods. Q: What kind of doctor should I discuss my heavy periods with? A: It is probably best to involve two doctors, or specialists, in your care when discussing your menstrual cycle: The doctor who prescribes your anticoagulant (for me it is my hematologist) and your gynecologist. If you do not have a gynecologist, you can find one with this search tool: The American College of Obstetricians and Gynecologists. Q: My doctor(s) said to expect heavier bleeding on blood thinners, so do I need to worry if I am bleeding a lot? A: Don’t assume heavy bleeding is normal, especially since it could be dangerous and have dangerous consequences, such as blood loss or anemia. If you have heavy bleeding, you need to go to the emergency room, or hospital, to be evaluated. The U.S. Centers for Disease Control and Prevention (CDC) defines heavy bleeding as: 1) needing to change your pad or tampon after less than two hours, or 2) you pass clots the size of a quarter or larger. Read more about heavy periods, also known as menorrhagia, from the CDC: Heavy Menstrual Bleeding. Q: During that time of the month, can I just skip taking my blood thinners? A: No, not without speaking to your doctor. Heavy periods are usually not a reason to stop taking your blood thinner. Stopping your medication – even for a day or two – could be dangerous and result in a repeat clotting event. 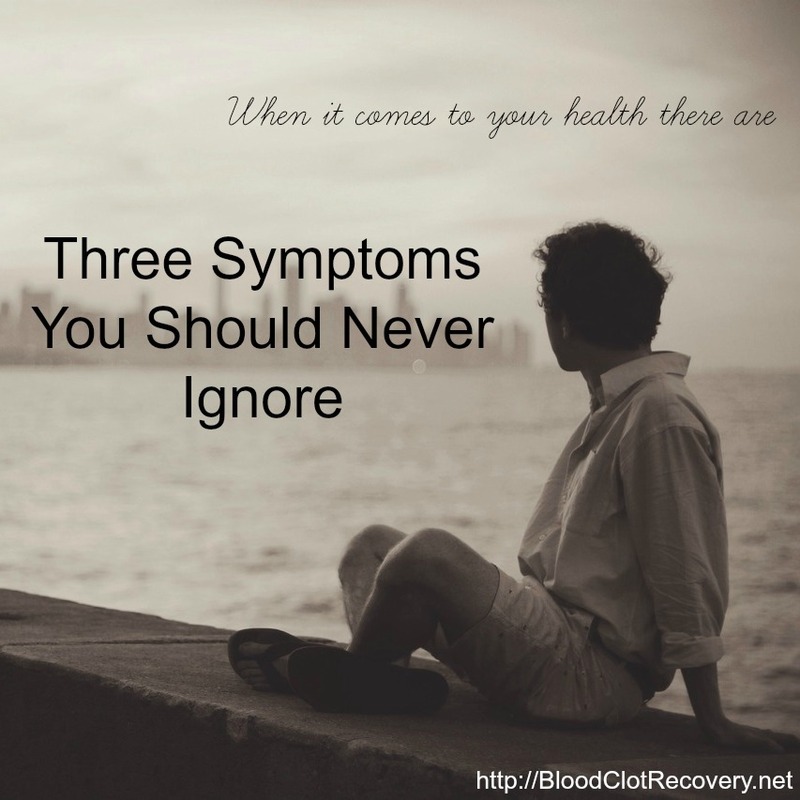 Not taking medication as prescribed is the most common cause of blood clot recurrence. Please do not ever stop your blood thinner without consulting with your doctor first. While some women may be given instructions to reduce or stop their blood thinner during the heaviest days of their menstrual cycles, this direction must only be given my the advice of a medical professional. Q: Birth control helped with my periods, and now I can’t take it because of blood clots. What options do I have? A: Birth control with estrogen is a risk factor for blood clots, and many women are advised to stop taking birth control with estrogen after a blood clot. However, many women have options without estrogen for birth control that may also help with heavy periods, especially if they are continuing to take an anticoagulant. More information about these options can be found here: Birth Control and Blood Clots. Other options to help manage a heavy period may include: pads or tampons, menstrual underwear or menstrual cups. We’re all different, and what works for one woman may not be an option for the next woman. Some women may, along with their physician, consider various surgical procedures to help address significant menstrual bleeding, such as a endometrial ablation or hysterectomy. 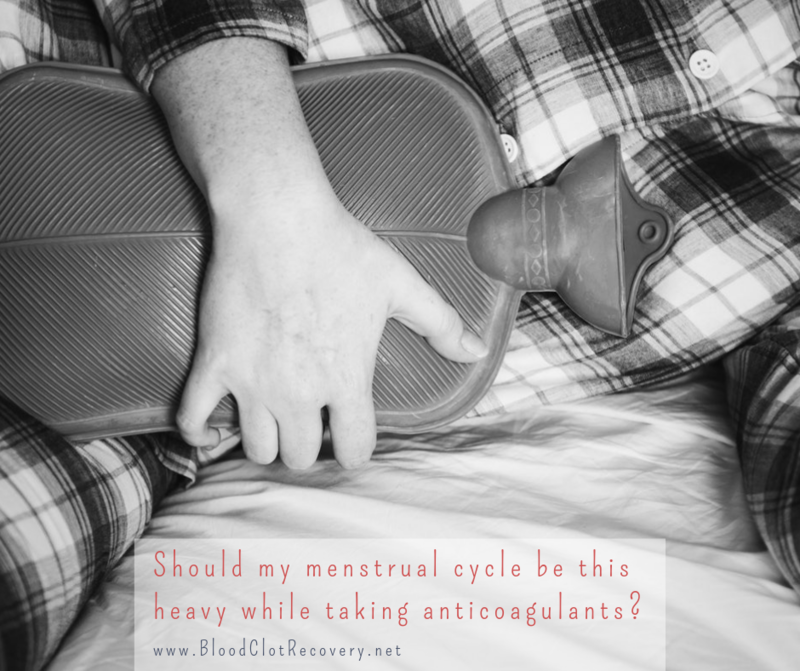 It can be difficult to manage a heavy menstrual cycle on anticoagulants, and for many women, it can be uncomfortable to talk about, but it is really important. Not only can an unusually heavy cycle be dangerous to your health, it can be damaging for your self-esteem. It can even effect work and social commitments. If you are experiencing a heavy period while taking anticoagulants, talk to your doctor about your concerns, and your options. Reader Writes In: Journal your thoughts, or share in the comments below. Have you experienced heavier periods since starting anticoagulants? Before I was a VTE blogger, I was a health and fitness blogger. 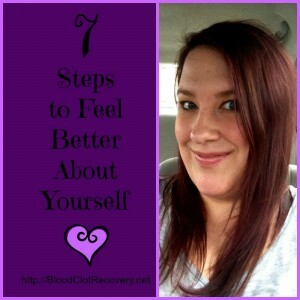 Before I started writing about my blood journey, I wrote about my weight-loss journey. Before I was diagnosed with a DVT and PE, I was diagnosed with insulin resistance as a pre-cursor to diabetes, which motivated me to make changes in my life related to nutrition and fitness. I started running half marathons and eating better – and I eventually reversed the damage being done to my body and came off insulin-sensitivity drugs. In the process, I became enamored with nutrition, fitness and running and continued training – and writing about it – up until that weekend in June of 2012 when un-relenting calf pain turned into a blood clot in my lung and I was out of the fitness game for the next three years. During my recovery, I gained back all of the forty pounds I had previously worked so hard to lose – and then some. I stopped focusing on making good choices when I ate food and while I didn’t go overboard, my body reached its highest weight ever and I plateaued there. There was nothing I could do – or wanted to do – to change it at the time. 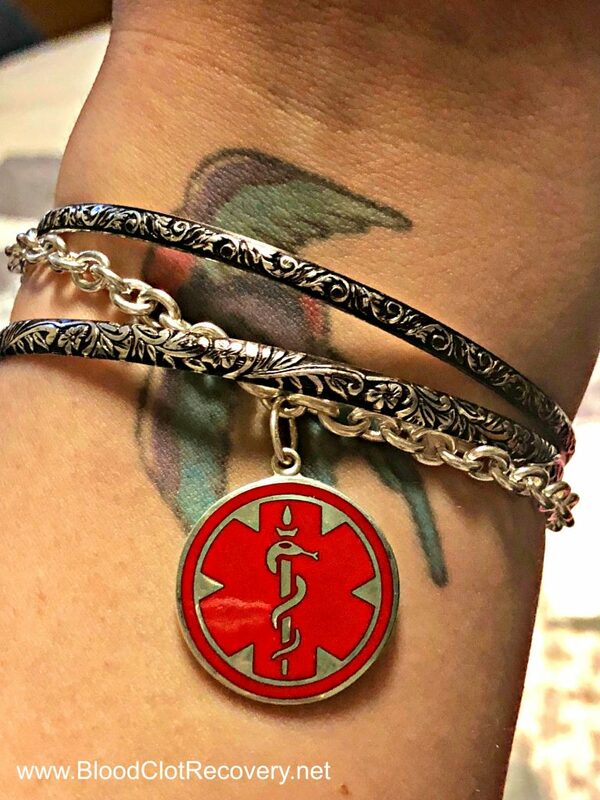 My singular focus was on recovery from my blood clot including managing my pain, decreased lung function, leg swelling, a fluctuating INR, multiple doctor visits, physical setbacks, emotional trauma and the numerous lifestyle changes that come with all of the above. Still, in the back of my mind, I knew I had to get the weight off. 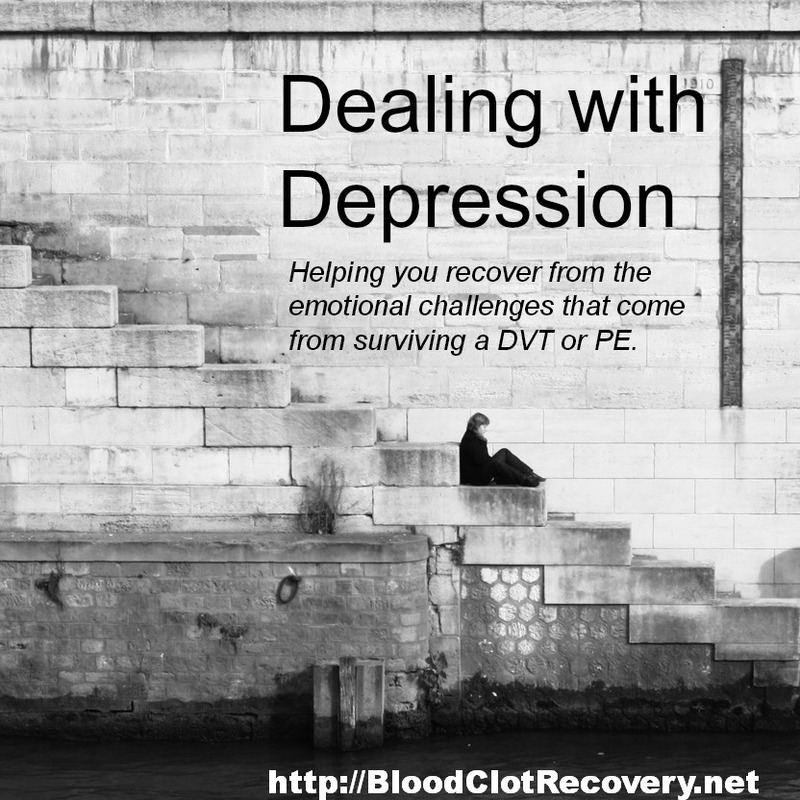 Once physically recovered from my blood clot, I still felt horrible, lethargic, fatigued and out of control because of my weight. My self-esteem took yet another beating when I already didn’t have much self-esteem left. Eating – and the choices I was making about food – were wrecking havoc on my emotional health. It’s hard to eat consciously on a regular day, let alone when you are managing an ongoing illness. 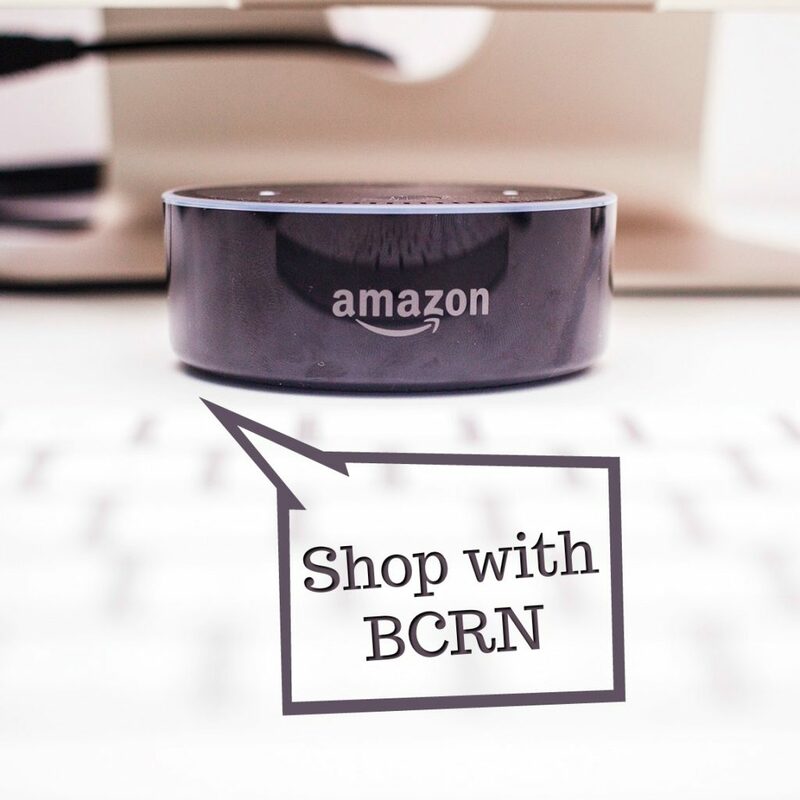 Now, some of the most common questions I receive at BCRN are, “How do I eat healthy on a blood thinner and how do I lose weight after a blood clot?” While I am not a doctor, nor am I a nutritionist, I am sharing what as worked for me and some tips that I believe can help benefit anyone who is trying to lose weight or make better choices when it comes to food. Studies tend to show that in terms of weight loss, diet plays a much bigger role than exercise – and just because you are taking an anticoagulant does not mean you can’t eat for weight loss and/or optimal health. As a rule, it is important to discuss any dietary changes you want to make with your physician before you make those changes. I talked to three of my doctors – hematologist, endocrinologist and GP – before I made these changes. Overview: Establish or find a nutrition plan. Worst first, right? When talking about nutrition for weight loss, it is important to find a diet plan that works for you (here is the only place you will see me use the word “diet” in this context. I refer to the way I eat as a lifestyle, not a diet because it is how I prefer to eat and it is what makes me feel good). The internet, books, magazines, etc. are filled with an overwhelming amount of information about how to eat, when to eat, what to eat and what’s the right way to do things. The thing is, though, finding a plan is just as individual as the blood clot treatment plan you are on. There is no right way because each of us is different. I have spent many years researching ways to eat and tried a multitude of the plans that are out there – Weight Watchers, Paleo, Whole 30, Low-fat, Autoimmune Protocols, Gluten-Free, Blood Type Diet, Low Calorie, High Calorie – all of them have their pros and their cons. Finding one that works is entirely up to you. 1,500 calories a day (or about 500 calories a meal) – drastically cutting calories does not work for anyone. A focus on eating macronutrients each day with a goal of not more than half of my daily intake of nutrients being carbohydrates, about 30 percent of my daily intake of nutrients being fat and about 30 percent of my daily intake of nutrients being protein. I do not eat (or I limit) white grains (rice, pasta, bread), potatoes (all kinds), sugar (and alcohol), dairy (cheese, sour cream, milk, creams, etc. ), soy, whey, protein powders. I eat chicken, beef and fish (although I do limit my intake to a few times a week as a personal choice), beans, eggs, nut butters, vegetables (the list is large: peppers, onions, mushrooms, spinach, broccoli, green beans, tomatoes, squash, asparagus, etc. ), sweet potatoes, whole grains (limited to once a day and is either whole grain rice or bread), fruit (apples, oranges, bananas, grapes), olive oil, coconut oil, butter (not margarine) and on occasion bacon fat or lard. I cook with almost every spice except rosemary and fennel. I eat three meals a day and an afternoon snack, usually. I eat breakfast every single day (not an easy accomplishment) within one hour of waking up. A typical day for me is brown rice, spinach, and an egg fried in butter for breakfast; more spinach and beans or roast beef on a whole grain tortilla and spinach with mustard for lunch; chicken/steak and vegetables or a sweet potato with almond butter and vegetables for dinner. Snacks might be an apple with almond butter or Greek yogurt. I do allow myself to have treats. I eat out about once a week with no restrictions, have a pinch of sugar and sometimes cream in my tea each morning and consume wine every now and then. Fill up on good things – what works for you. Finding out what makes you feel good – and is healthy – is important. 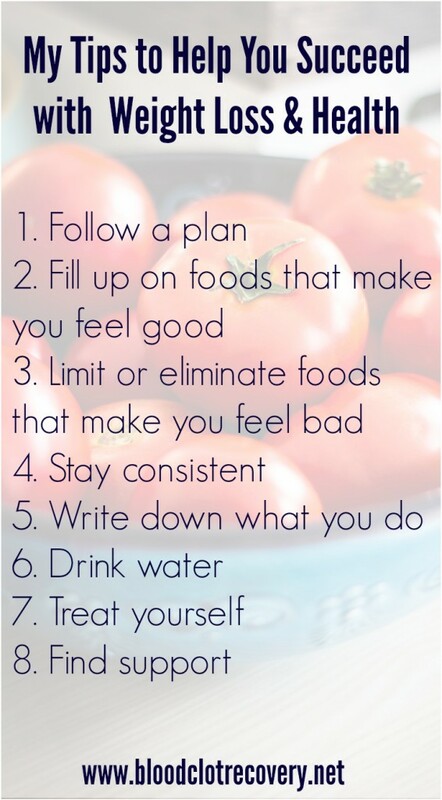 Once you do, eat those things in excess, even in spite of calories goals. I eat spinach every day because it makes me feel healthy, strong, energized and full. Eating protein makes me feel full. Eating nut butters, fruit and on occasion chocolate makes me feel happy. If I am hungry at the end of the day, I eat a sweet potato, popcorn or a even a piece of chicken, even if I am going over on my 1,500 calorie goal. Cut out the bad things – what doesn’t work for you. In the beginning, I read It Starts with Food by Dallas and Melissa Hartwig, which gave me a lot of insight into how poor nutrition might be affecting our overall health, including inflammation in the body. I did the Whole 30 Challenge where I eliminated grains, dairy, sugar and alcohol according to the plan for 30 days. At the end of the thirty days, I started adding things back into my diet that I previously loved to eat and was certain I couldn’t continue living without. Certain things made me feel horrible – and still do to this day. I avoid milk and white grains (rice, pasta and bread). On the other hand, I do love white rice – especially from Chinese take-out with a lot of hot sauce. I eat it once in awhile, but I am prepared to face massive joint swelling and pain the next day so my once in awhile is really only that – once in awhile. I rarely eat anything that is not whole – meaning I eliminate processed foods or things that come out of a box, a bag, a container, etc. When talking about nutrition – especially if you are taking medications that can be affected by food, like warfarin – it is important to talk about consistency. Consistency is more important than elimination, especially when discussing the foods that are healthy for you. I eat about the same amount of spinach everyday. I eat about the same amount of protein in a day. I eat about the same amount of carbs in a day. I eat about the same amount of calories in a day. I also consistently cook at home, make two or three meals out of one (before it even goes on my plate I divide it up) and shop the perimeter of the grocery store (that’s where you find whole foods like vegetables, fruits, eggs and meat). Write it down, somewhere, somehow. In writing down what I eat everyday (as a means to keep track of calories), I realized two things: We as human beings consume entirely way too many calories without realizing it and we eat generally the same things each day without realizing it. Write down what you eat. I think you might find consistency is more present than you realize and you eat more than you realize. I use MyFitnessPal mobile app (or checkout the desktop version) to keep track of my calories and macronutrients. It’s free to download for iOS and Android. You can also use a paper or electronic journal. I exclusively drink water – and black tea in the morning with sugar and sometimes cream. If you feel thirsty, you need to drink more water. I don’t really pay attention to cups or ounces, but I do drink to not be thirsty. If I go out, I order water. I don’t drink soda, juice or coffee very often, if at all. If I want flavor in my water, which I rarely do, I put my own sliced lemon or lime in it. You cannot eat according to plan 100 percent of the time. It’s not healthy, either. What I refer to as treat (not cheat) meals are important to your mental attitude. I do this about once – maybe even twice – a week. I do not take a treat day, but I take a treat meal where I eat what I want (usually from a restaurant) and do not worry about calories, nutrients or goals. I may or may not write my treat meal down. I eat what tastes good and looks good to me (insert Chipotle here). Over time, I have found my desire to do this is less and less and I tend to have treats that are not really meals – a chocolate bar, a glass or two of wine, or French fries with my salad at dinner. Don’t do weight loss alone. Apps like MyFitnessPal have a community component where you can “Like” and “Comment,” just like Facebook. Find a group, an app, an online forum, a book, etc. – anything to make connections with other people who are on the same journey as you. Not only is it motivating, it also helps hold you accountable to your own goals. To sum it up, this is what works for me – and might not work for you too. This is what I discussed with my doctor – your doctor might make different recommendations. All of that is okay. Weight loss takes time, dedication and hard work. Changes can be slow – they should be slow, as should weight loss. With small changes, comes lasting progress. I take one day at a time. My today is not my yesterday or my tomorrow. By eating to feel good and fueling my body well, I have noticed I feel much better – and while I am losing weight slowly, the emotional benefits far outweigh the physical ones. I feel more confident, happy and secure in my decisions to take care of myself. For me, self-care extends far beyond my initial recovery to caring for my body and my mind from this point forward. 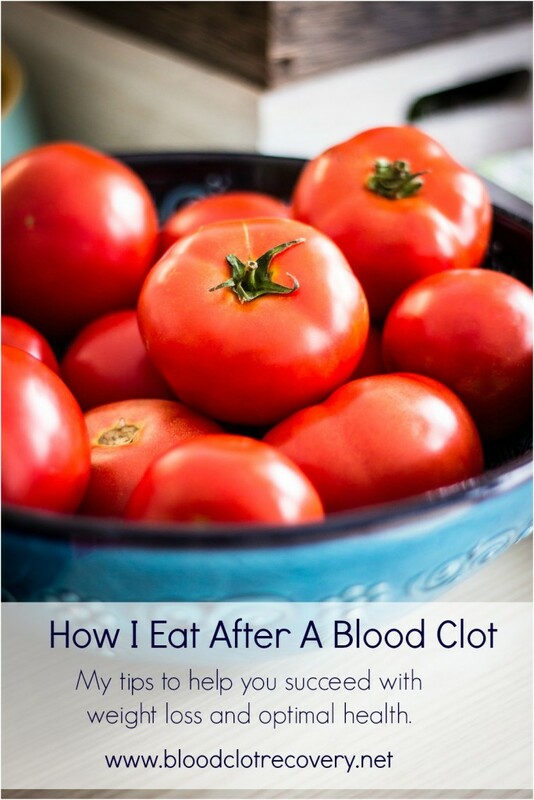 Reader Writes In: Are you trying to lose weight or eat healthy after a blood clot? What works for you? What is your favorite treat? 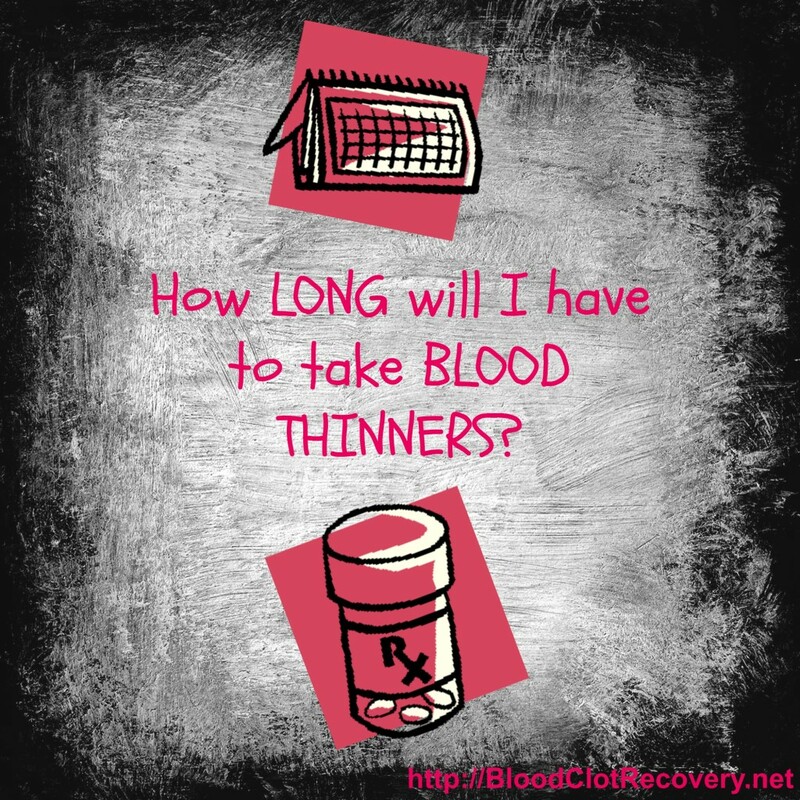 How long will I have to take blood thinners? 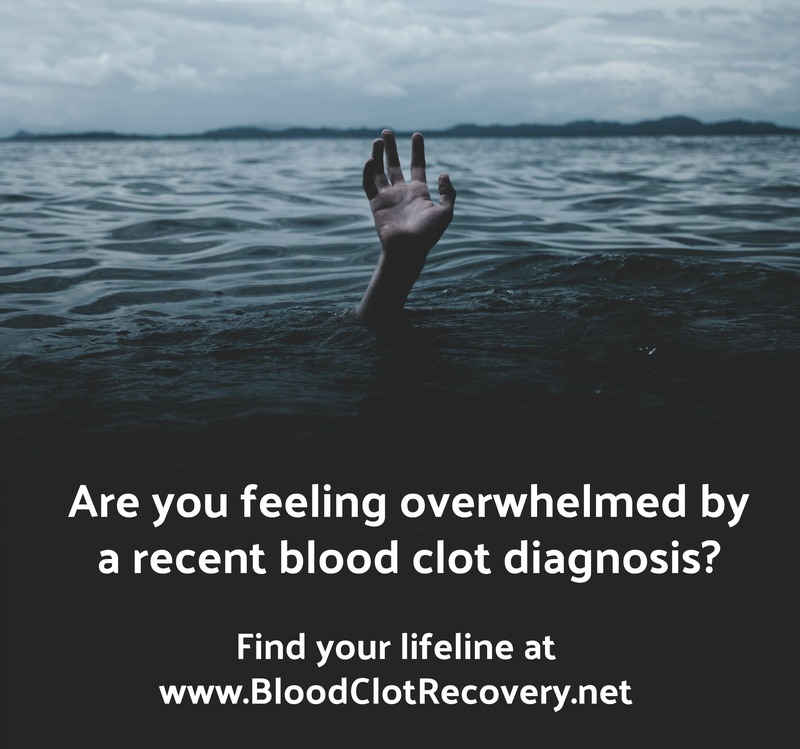 It can be very overwhelming in the days, weeks and even months following initial diagnosis of a blood clot in the leg, thigh or pelvis (DVT) or lung (PE). 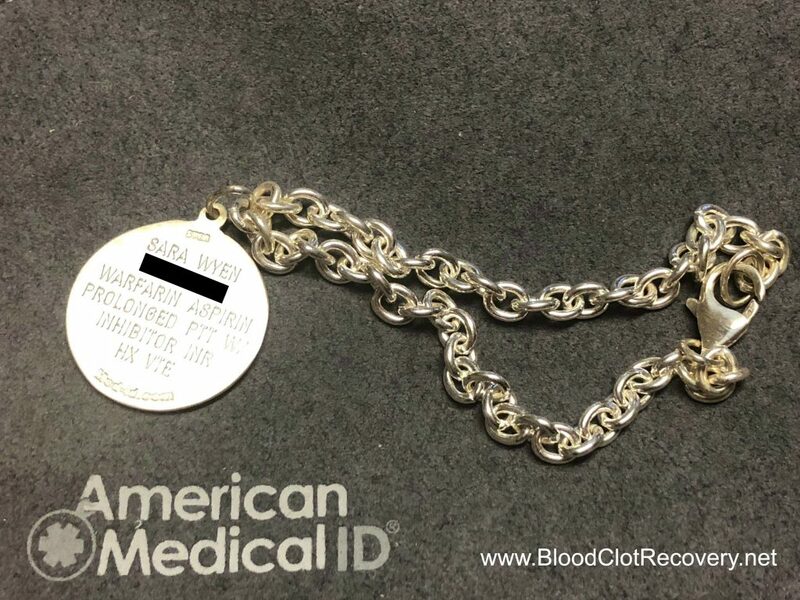 Initial treatment generally involves extensive hospitalization; a battery of tests including blood draws, scans and X-rays; perhaps thrombolytic therapy or clot-busting drugs to break up clots inside your blood vessels; or even surgery to place a filter in the groin area or to address an underlying and more critical issue at hand. Most, if not all, patients are put on anticoagulants – or blood thinners – for some amount of time ranging from a few weeks to a lifetime. Blood thinners decrease your blood’s ability to clot. 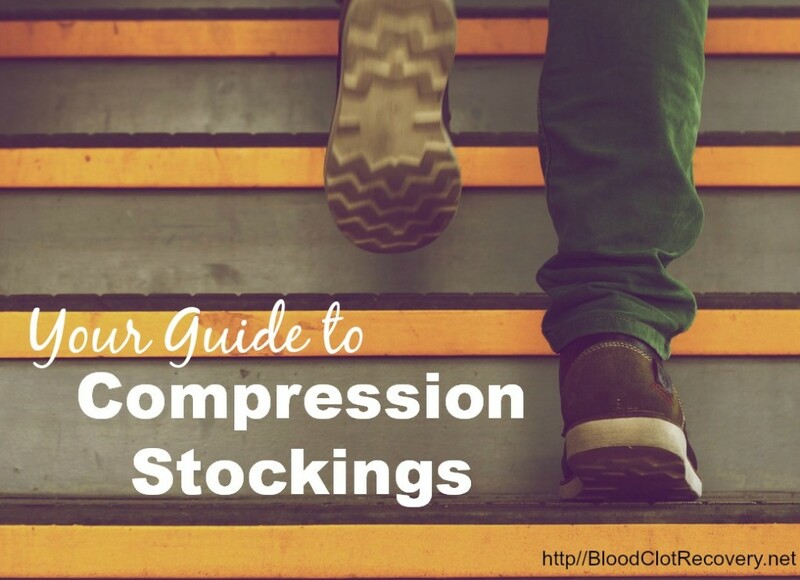 They’re used to stop blood clots from getting larger and prevent clots from forming. 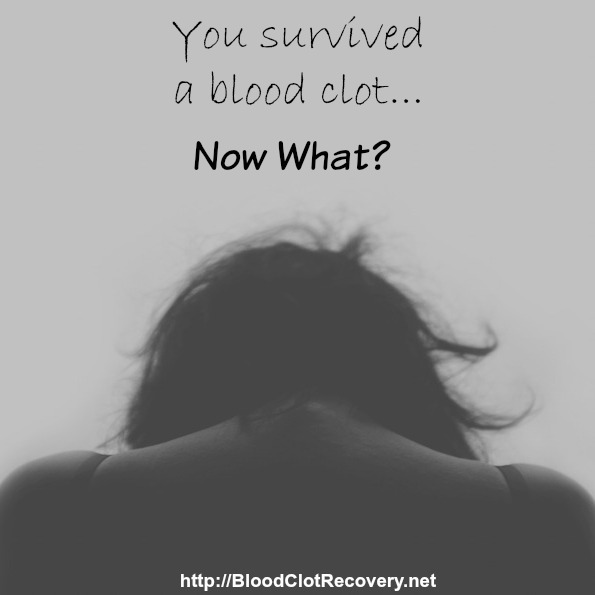 Blood thinners do not break up blood clots that have already formed (the body dissolves most clots with time). As time goes by, the question soon becomes just how long will I have to take blood thinners? 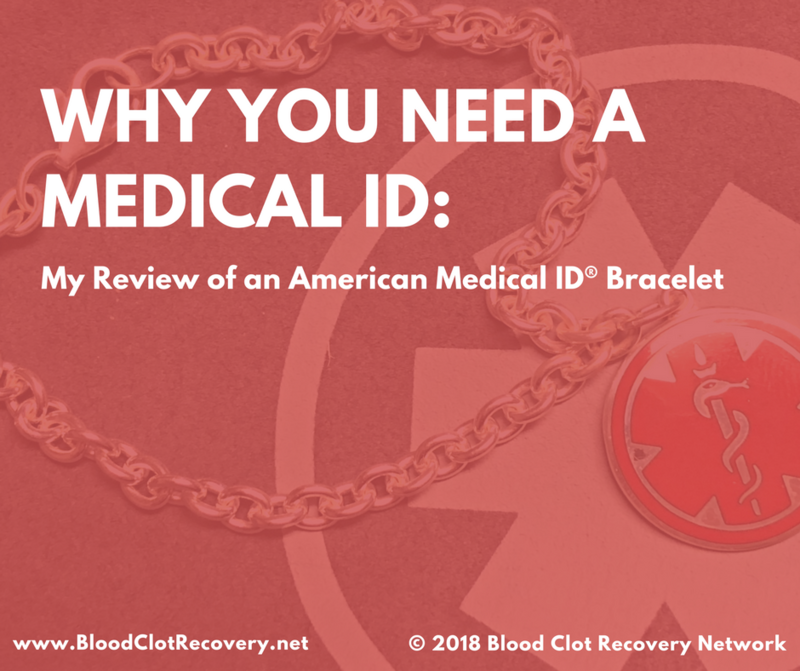 It was one of the first questions on my mind once I could think clearly and for me, it did not come until after I was discharged from the hospital and was sitting in my hematologist’s office for my first follow-up appointment. 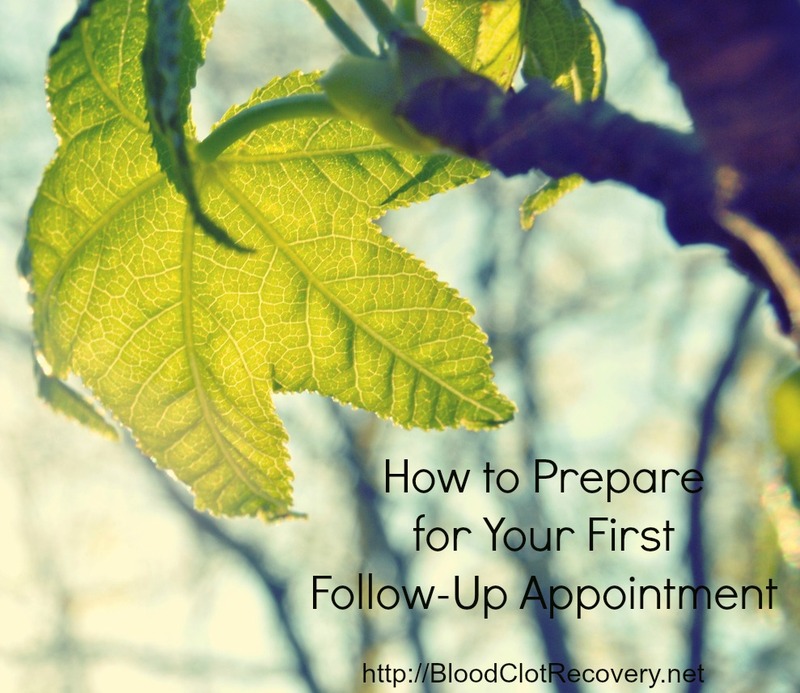 I was more than hesitant when I asked then and just yesterday at my 16 month follow-up appointment, how long will I have to take blood thinners? 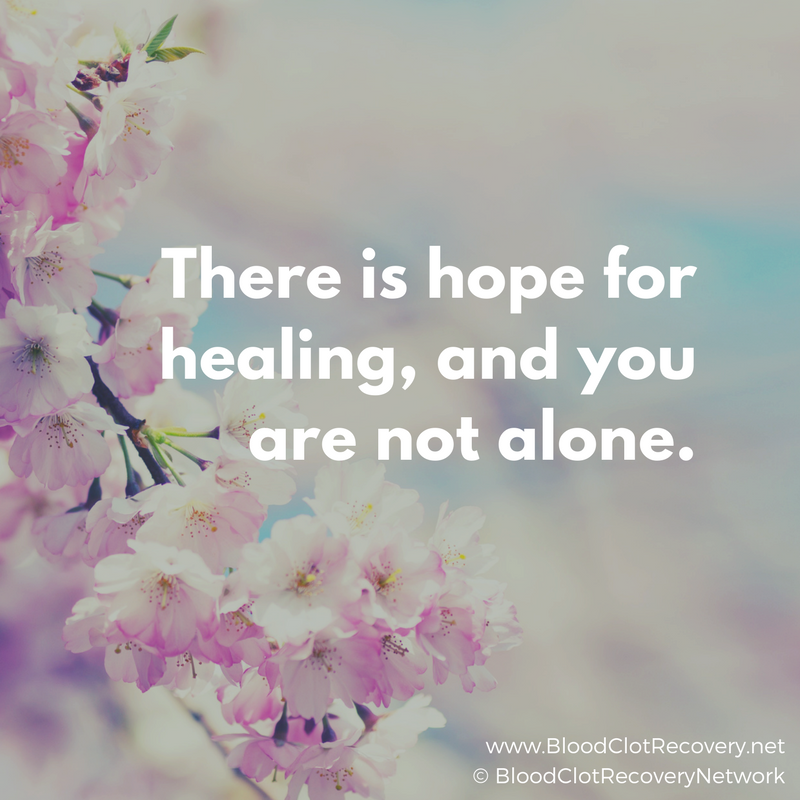 The answer was the same then as it was yesterday – I will have to take blood thinners for the rest of my life, due Antiphospholipid Syndrome. APS is an autoimmune disorder in which the body recognizes certain normal components of blood and/or cell membranes as foreign substances and produces antibodies against them, particularly in the blood, which causes clotting. I had slim hope that something would have changed in the last year, but it did not; while APS antibodies do come and go, the risk of them developing and producing another PE are too great to ever stop taking blood thinners. 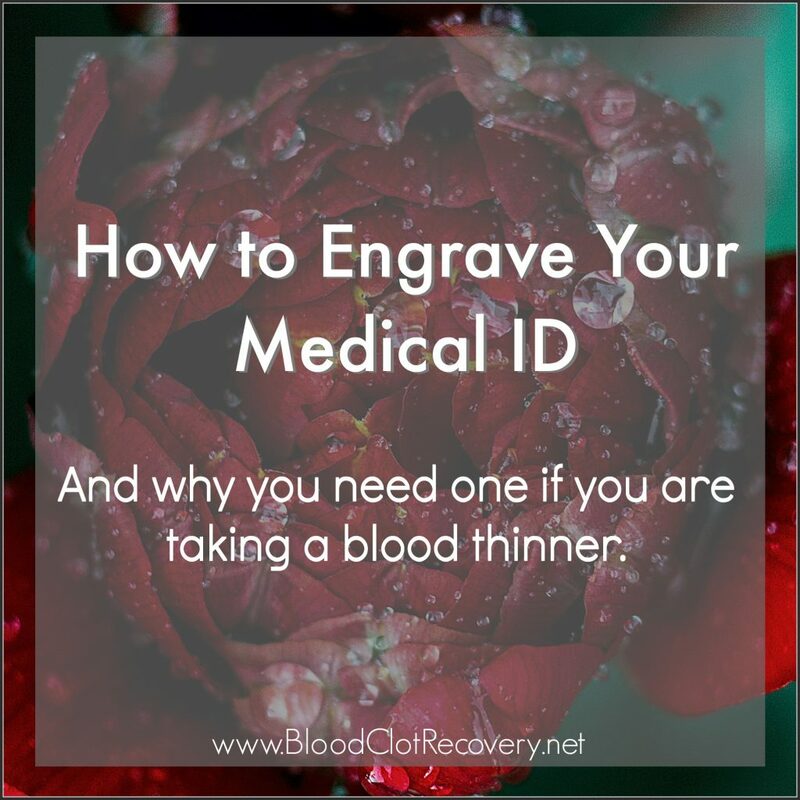 Still, others will be on blood thinners for much less time or may go on and off blood thinners at different times in their lives. In fact, there are as many variables affecting how long a patient will have to take blood thinners as there are patients with blood clots. 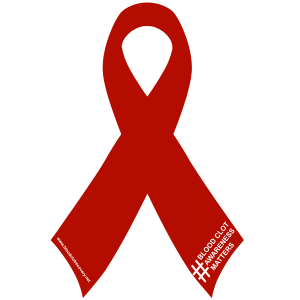 It all depends on the individual and most importantly, the reason for the blood clots to begin with. 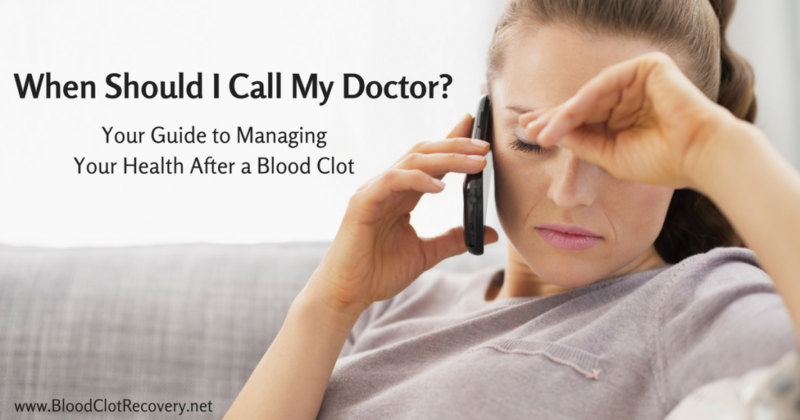 If you don’t know why you developed a blood clot, request a panel of tests to determine if there are any genetic or autoimmune factors that may have contributed to the clot as this can be critical in determining how long you need to take blood thinners. 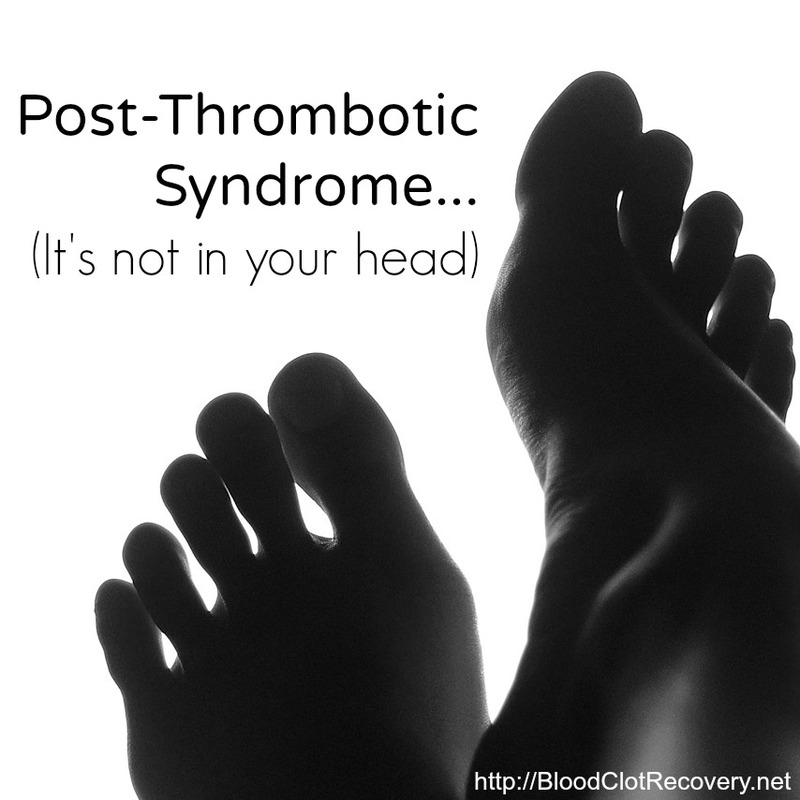 In patients with an easily identified and reversible cause of a deep vein thrombosis (such as a recent surgery, strictly birth control pills, etc.) 4 to 6 weeks of therapy may be sufficient. Many patients who experience a DVT or PE with no identifiable cause (unprovoked) or strictly as a result of birth control may only be on blood thinners until initial concerns with the clot are resolved or birth control is stopped. This may be a few weeks at most. For cases in which the risk of developing new blood clots remains high (such as in patients with certain cancers or even genetic factors, pregnancy, etc. ), anticoagulant therapy may need to be continued for months to years. 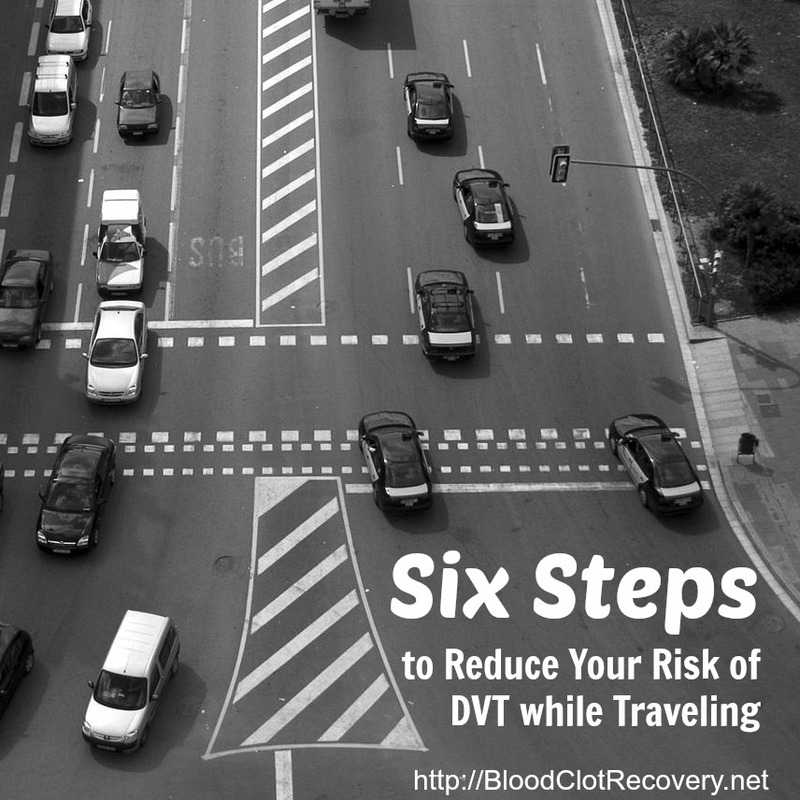 In the case of someone with recurring clots (genetic or autoimmune disorders or additional medical complications that may contribute to clotting), he or she may need to take blood thinners lifelong (//preventdvt.org). Doctors may recheck the leg and/or lungs with a Doppler imaging scan (or ultrasound) between 3 and 6 months after the initial clot. There would not be enough change to require a scan any sooner than that and keep in mind; your clots may never completely dissolve, resulting in residual scar tissue that may always be visible through medical scanning. Most patients who have suffered from a PE and/or DVT are placed on blood thinning medications for 3-6 months as a general guideline. Again, it is of vital importance to discuss reasons for clotting with your doctor as well as your individual risk for a recurrence. Both will help to determine what your appropriate length of treatment should be. Share your story. 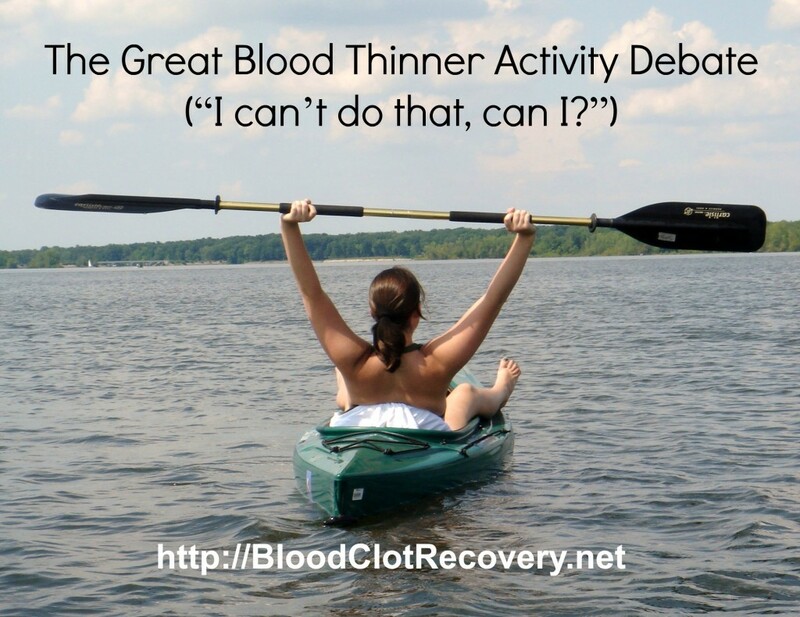 How long do you have to take blood thinners and for what reason? 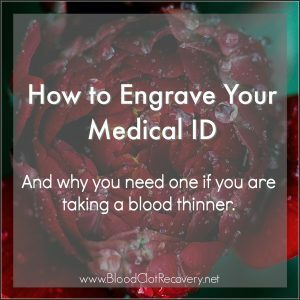 Did you expect to take blood thinners for as long as you are/did? What have you heard about length of treatment pertaining to blood thinners?